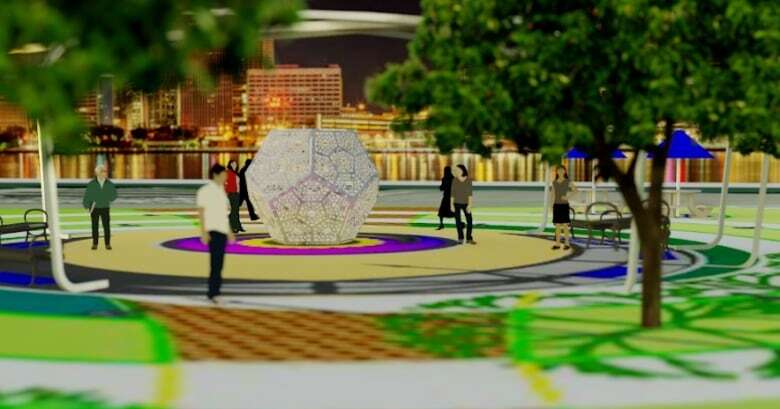 The Rotary Club hopes Windsor enjoys their big gift: a two-metre tall light sculpture at the riverfront Centennial Plaza. 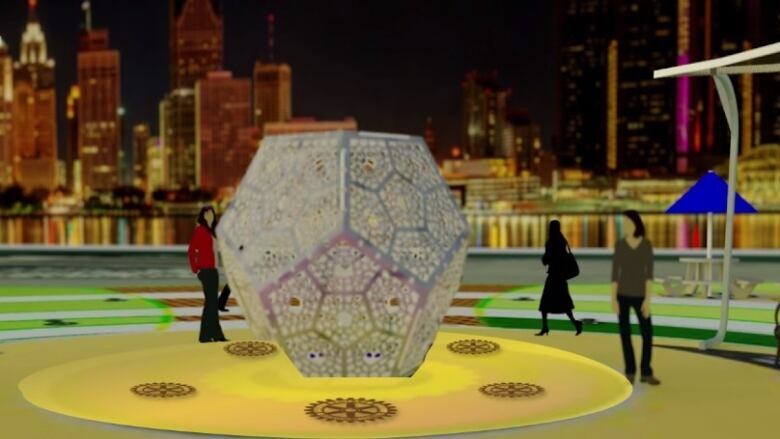 A two-metre tall light sculpture that will be visible from Detroit and parts of Riverside Drive East will be the centrepiece of a gift for the city that's a century in the making. The Rotary Club of Windsor is set to open their Centennial Plaza on Saturday to celebrate 100 years in the city. Patterns from Vincent van Gogh's Stary Night were part of the inspiration for a pathway, which landscape architect Stefan Fediuk calls a "galaxy" appearance. "It will be an interesting path for people to walk," said Fediuk. There's going to be a concrete ping pong table, oversized pictures frames for photos, swings and benches at the site but the crown jewel is the sculpture from artist Nicolas de Cosson. "You're going to be able to see it from absolutely everywhere," said Janet Kelly, Chair of the Rotary Centennial Park Project. "We have a beautiful waterfront but there isn't a real stepping-off place and we think this will be the stepping-off place," said Kelly. The park-within-a-park was first announced two years ago.